The Nokia N9 is the underdog, the abandoned MeeGo kid and that alone gives it a special place in our minds, but it’s also brilliant in terms of hardware design with its solid polycarbonate body coming in a variety of colors, its convex, pillow-like screen and no buttons on the front whatsoever. 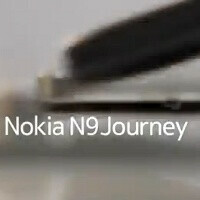 How did Nokia achieve this? Espoo has posted a video dedicated to the manufacturing process for the Nokia N9 from what looks like its Salo factory in Finland and it’s amazing to see the attention to detail and careful execution of the process. Of course, it’s robotized for the most part, but assemblying the chips is done by people as well as fitting the screen. Interestingly, it seems that Nokia phones destined for Europe are made in Finland, while those shipping to the rest of the world are assembled in China. For a look at all those curious little details about the manufacturing of the handset, check out the video below, but feel free to also visit our in-depth review of the Nokia N9.